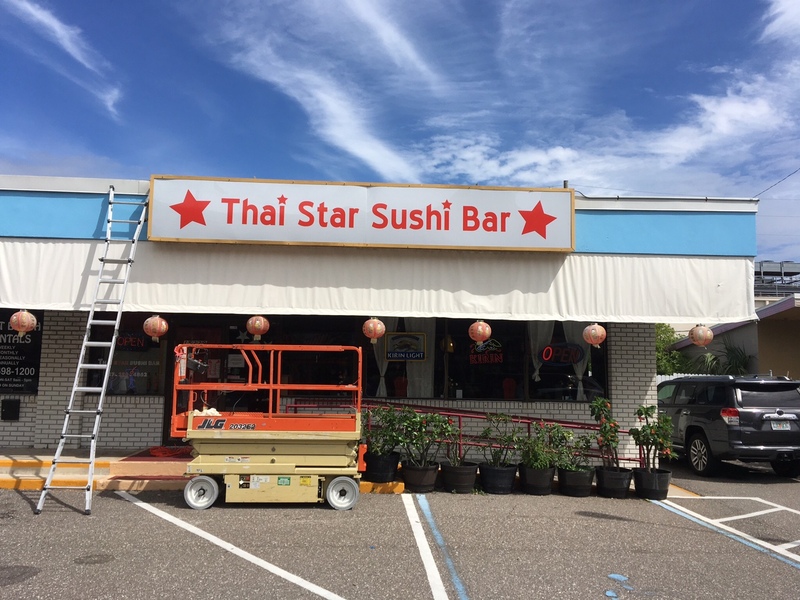 Thai Star Sushi Bar needed a better look on the front of their building. They called us to handle the design AND installation of this new commercial sign here in the Tampa Bay Area. Check out some photos of the recent installation and give us a call if you need a signage facelift on your building! Check out their awesome restaurant, they have some killer sushi!